Continually setting my expectations too high and continually being let down is a common theme in my life. As much as I know there’s an overachiever inside of me, I also know that I physically can’t do everything I put on my to do list each day. I try not to feel bad about it, but a small sense of failure always lingers. Sound familiar? My meditation said to our class today something she told me a couple weeks ago: Set three priorities a day, even if they are breakfast, lunch and dinner. The idea is to have appropriate goals for what’s happening in your life. By having realistic expectations, you’ll see that you are successful and able to do what’s most important to you. I’ve been trying her recommendation. For the most part, I can reach my goals each day and not focus on all I haven’t done. My list is limited and I don’t feel as overwhelmed. I’m also open to revising it throughout the day. A day may start out well, but by afternoon I know washing my face before bed will be the most I get done. I’m a little harder on myself in that case. . . .
Today’s list was ambitious considering how I’ve felt: Go to meditation class, buy groceries, pick Hart up at the airport. The first two were checked off by 1 p.m.; Hart’s flight isn’t in yet, but I definitely feel up for the drive. I even managed to go to the library and post office, both of which I’ve been trying to do for days. Knowing I’d taken care of the first two items on my list and that going to the airport tonight was a priority, I let myself rest this afternoon. I still feel a little guilty for watching three episodes of 30 Rock and three episodes of Weeds in the middle of the day, but knowing it was part of my plan makes it easier. Tomorrow’s list: Go to my massage, meet my sister and nieces in Tacoma, and be back home in time for Hart to take the car to his poker game. It is kind of ambitious, but I’m pretty sure I’ll make it. If not, I’ll remind myself that even getting myself fed was a challenge that I rose to. Multiple times a day I wonder if how I feel at a given moment is depression- or migraine-related. I keep concluding that I’m not, but I’m asking myself more than ever and have to wonder if that’s a sign that I am clinically depressed. I was first diagnosed with depression when I was about 15. I took Prozac for a couple months then didn’t take anything until I was in college. I’ve been on antidepressants more often than not in the last 10 years. They usually keep things under control, but I’ve had multiple backslides. These are major falls off the mountain not small slips. I’ve been taking Wellbutrin and Cymbalta for three years and added Lamictal six months after starting the first two. I check in with my psychiatrist (whom I love) every three to six months and we play around with meds as necessary. In Octoberwe increased my Lamictal dose from 200 mg to 300 mg. It didn’t seem to be working so we went back to 200 mg on March 8. As I write this, I’m thinking that maybe it was working. . . .
I’ve been hiding out all winter, but didn’t start feeling sorry for myself until recently. Except for the weekend thing (which really don’t feel like depression), I haven’t cried much. I have felt overwhelmed, tired and just generally blah for the last couple weeks. Not to mention that my e-mail inbox is nearly overflowing and even the shortest blog posts are taking me hours to write. I was blaming it on migraine, but the signs are adding up. That Was Easy: I Am Depressed! As I write, I’ve become almost positive I’m depressed. Having online depression screening tests rating my symptoms as moderate to severe is a pretty good clue too. It takes me a long time to find a cocktail of meds that’s effective. Once I do, drugs have always been quite helpful for me until I hit a backslide. I’ve considered therapy off and on. Trying to find a good therapist is such a pain. In fact, I’ve never found one I liked. Also, three standing appointments each week is my limit. When I mentioned my mindfulness-based wellness class and meditation, my psychiatrist pulled a related book out of his bag: The Mindful Way Through Depression. One of the authors, Jon Kabat-Zinn, also wrote the book we’re using for class, Full Catastrophe Living. I read a fair amount of both before reading started triggering nausea and dizziness last week. I really like what the depression book has to say. Particularly about the role of negative thoughts or self-talk in perpetuating depression. I seriously didn’t realize that other people don’t do that all the time. It has been normal for me for years, perhaps forever. After Hart suggested that I beat myself up every time I let myself down, I’ve become much more aware of my thoughts. I’ve already progressed in noticing — and halting — the negative things I tell myself. There’s a lot of room for improvement, but it feels good to know I’ve already started what I’m trying to do. Ironically, inability to concentrate is one of my major symptoms. It also makes learning to meditate highly frustrating. The meditation class I’m taking has taught me to not get upset with myself for “not doing it right.” I’m not as wound up about it as I normally would be and am even sticking with a daily practice. For now I’m hanging in there. I’m trying to not be so hard on myself. I’m even giving myself permission to watch movies when I need to escape. I also stopped writing this mid-post so I could call my psychiatrist. I hope he’ll adjust my meds over the phone, but will make an appointment if I need to. When I sat at my computer this morning, I had no idea all this would come gushing out. In fact I started out to write a short forum post about differentiating between depression and migraine symptoms. Amazing how helpful “talking” it through is. What’s your experience with depression? Please share it in the comments below or on the depression thread on the online support group and forum. 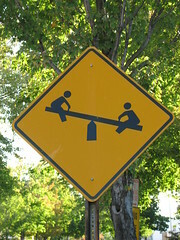 Check out March’s blog carnivals on headache and pain. The Headache Blog Carnival, which is about maintaining friendships, is up at My Migraine Connection. The Pain Blog Carnival is up at How to Cope With Pain. Whether you’ve been diagnosed with IH, are worried you might have it or just want to learn more, the Intracranial Hypertension Research Foundation‘s website is the place to go. Created by a retired ophthalmologist and his wife after their daughter was diagnosed with the illness, the foundation supports medical research and is an educational resource for patients, families and medical professionals. Exploring a Medical Mystery is an introduction to the foundation and the disorder. The Intracranial Hypertension Research Foundation is also building a registry of people who have IH. Researchers can use the database as a foundation and recruit study participants. It also documents the illness and its effects, which helps teach medical professionals, public policy makers and the general public about IH. If you have IH, please consider registering. I’d like to learn more about IH too. Please share your thoughts in a comment below or on our online support group and forum. Working on the computer and reading have been triggering bad migraines for the last week. I can handle the head pain, but the extreme nausea and dizziness are nearly intolerable. The combination of the three obliterated my weekend. I feel OK now and am going to try to save that feeling so I can have fun with my sweet husband tonight. Maybe we can even go out to dinner. I only need to make it seven more hours, so I’m done with the computer for the day. Myofascial release is the most effective bodywork therapy I have tried. Yet I’ve never been able to describe it very well. In this guest post, my massage therapist Jenny Eggers explains what fascia is and how myofascial release works. Perhaps you have heard of myofascial release and you’re caught wondering what is this and what exactly fascia is? Well I am sure every one of you has taken the step forward onto the step you thought was there and bam! Shock waves transpire up into your leg, your hips, all the way up into your neck. Those waves travel along what some structural integrationists call your fascial net. This fascial net serves as a protective barrier from the outside world against pathogens and transmits immediate feedback to your brain about your surroundings. Fascia keeps us together in recognizable form. It is a tough, elastic connective tissue made from collagen, elastin and reticulin. It is a gelatinous like substance that provides tension and compression around tissue that would otherwise sag to the floor like a pair of socks that have lost their elasticity. Imagine a grapefruit and the septum the pith forms around and between the meat of the fruit. Just below the skin we have a layer of fascia encasing our body and as we move into deeper structures it weaves in and out of organic tissue encasing individual muscle fibers and organs down to the cellular level. Other forms of fascia are bones, blood and ligaments to name a few. Bones are designed to reflect and change to accommodate the individual characteristics of each person. The needs of an ultra-marathoner are different in comparison to the needs of a swimmer or an office-worker. Your body measures the forces applied to the bone and responds accordingly by building or tearing down bone mass. As you apply more forces to your bone your body responds by building up more bone mass. This can be to your disadvantage if there is some sort of imbalance as we see in the cases of bone spurs. On the other hand, if you do not apply force to your bones your body responds by tearing it down. Fascia, providing us with structure and ease with mobility also causes dis-ease with mobility after years of misuse and/or injury. After trauma or injury it can shrink and harden around and within your body limiting your range of motion or causing pain because your support structure has been altered. What about that pain you have in your shoulder? Possibly caused from the numerous times you sprained your ankle playing kick-ball many years ago. Once injured your body responds with compensatory patterns. To allow healing, other muscles take over the job of the injured muscles. These patterns are beneficial at the time but if not addressed they become entrapments and your fascia responds accordingly. The fascia is shortened or elongated where once it was in a neutral position and after years of compensation you now have chronic pain with seemingly no cause or relief. This is where myofascial release comes in to play. Myofascial release involves very little lubrication and specific force. Applying a sustained dynamic force the practitioner will catch the fascia beneath their fingers and either with your help or without will slowly stretch the fascia in various directions. This is where the burn that some of you might be familiar with in a bodywork session comes in. Slowly stretching the fascia will alter the collagen and soften the viscosity causing greater ease in movement and less pain in your daily existence. How do you know if myofascial release is right for you? Ask yourself these questions: Do I have chronic pain? Have I tried numerous remedies to no lasting avail? Do I feel stiff and clumsy? Do I perform the same actions day in and day out? Do I exercise regularly and want greater muscle health? Have I been in a lot of accidents or had my fair share of injury? If you answered yes then perhaps this technique is right for you. One thing to keep in mind about fascia. . . .
With any deep bodywork there is a potential to release some emotions or memories stored in the tissue. Above I wrote that fascia forms a protective barrier against pathogens. The body doesn’t necessarily have a discriminating eye for what is a cellular pathogen and what is an emotional pathogen. If one has a lot of emotional stress surrounding them the body will respond in kind. Slumping of the shoulders at one time may have been a protective measure. Maybe another time it is from a car seat that is ill fit. Continuous slumping of the shoulders can become a chronic fascial issue that brings a lot of discomfort. Getting your shoulders released may also release the memory of that emotional pathogen from so long ago. After a session of myofascial work it is important to honor the emotions you are experiencing. Napping, journaling, counseling, exercising are all very healthy ways to explore and integrate the movement that just occurred in your fascial net. Jenny specializes in therapeutic massage, injury treatment, deep tissue massage and, of course, myofascial release. If you’re looking for an excellent massage therapist in Seattle, contact her at patcheggers[at]yahoo[dot]com. She’s a delightful person with a true talent for bodywork. I can’t recommend her highly enough.